Here’s everything you need to know about Overwatch’s latest hero, Brigitte. The staff change was announced on Twitter, via the official Shanghai Dragons account. After announcing Congshan’s departure, the statement continued to say that while Congshan will leave the post immediately, “he will formally leave the post after a transition period of one week.” The current assistant coach, Sun Jun “Kong” Young, will act as a stand-in coach until a replacement is found. There is as yet no official word on why Congshan is stepping down, but back in January he was fined ¥60,000 (around $9,250) for account sharing and approaching players through improper communication channels, according to ESPN. Whether those incidents are linked to this announcement is currently unclear. 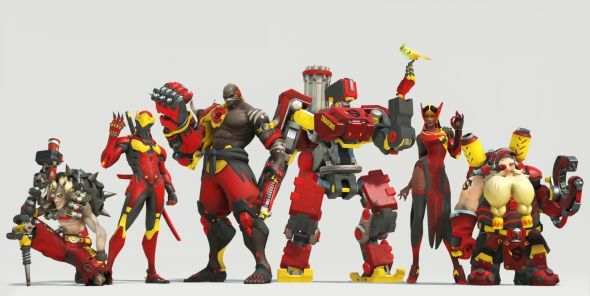 Shanghai Dragons have struggled throughout the Overwatch League so far, failing to win a single game in the opening stage of the competition. Congshan has been criticised for these poor results amid rumours of harsh practice schedules. It was recently announced that the team had signed four new players, including female Zarya main Geguri, and many fans will undoubtedly hope that new players and a new head coach will help galvanise the struggling team.